Thinking of building a gabion retaining wall around my land thinking it might be a cheaper and stronger and nicer option then concrete. possibly depending where you live.? I know around yaso there very expensive, no mining around here. There are quite a few companies supplying decent cages here in Thailand, so the wirework isn't a problem and decent prices too, but the stone itself is quite expensive I think. I don't know what stone you'd be looking for, but probably granite. I was quoted for granite boulders for landscaping, the price was 5 baht a kilo (delivered). Can't find any costs online , but I'd expect broken granite would probably be a bit cheaper. You'd probably still have to arrange the exterior visible facing rock to some degree (the central core can be rough as you like), so this too would add on extra costs. 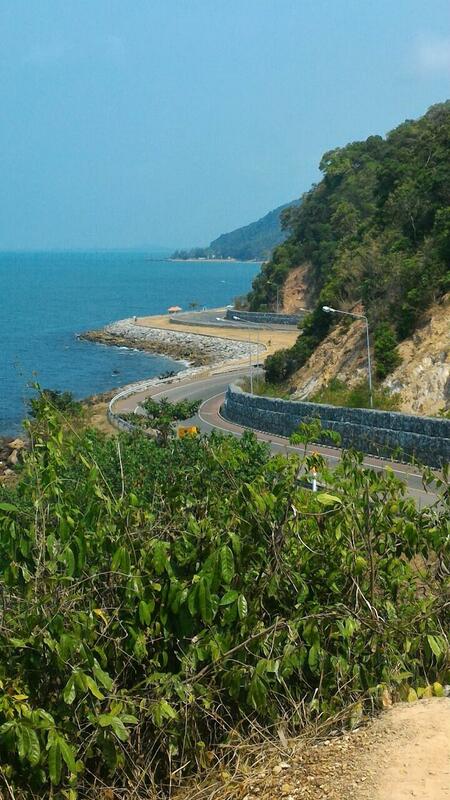 there is a quarry in surat thani, we got a truck load of granite for @ 1000b per ton. the other option is river stones. Considering the sg of rock is around 2.5 that works out to 2500B cubic meter. I hope they are well galvanized. Steel doesn't do too well exposed here, even galvanized. A quick Google search comes up with these two websites. Both mention delivery to Chachoengsao, which is where I believe you are. Both mention large rocks - "dam rocks" (หินเขื่อน). Stone Dam (supergroup 3 inches or more) as large boulders ranging in size from 3 inches to 15 inches until a durable barrier for banks. Do barrage or used in applications that require a large rock. Both websites give the same price of 170 baht per ton or 255 baht per cubic (meter I guess). Last edited by Neverna; 13-02-2017 at 02:19 PM. 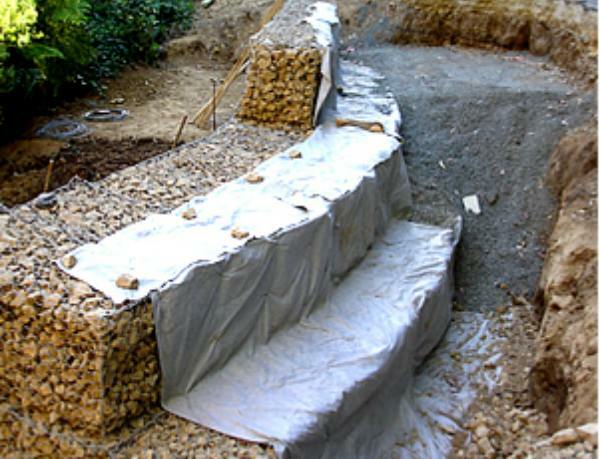 Still missing one item to properly construct a gabion retaining wall. Does he know what it is and where to locate it? Wire (tie wire) is part of the cage. I'd expect broken granite would probably be a bit cheaper. Exactly. How are you going to keep them out? The last item on your list you need to purchase. My brother is having his house in UK remodeled. Knocking the kitchen dining room into one to make it more modern and up-to-date to add value. I asked him about his Ha-ha. He said all done. 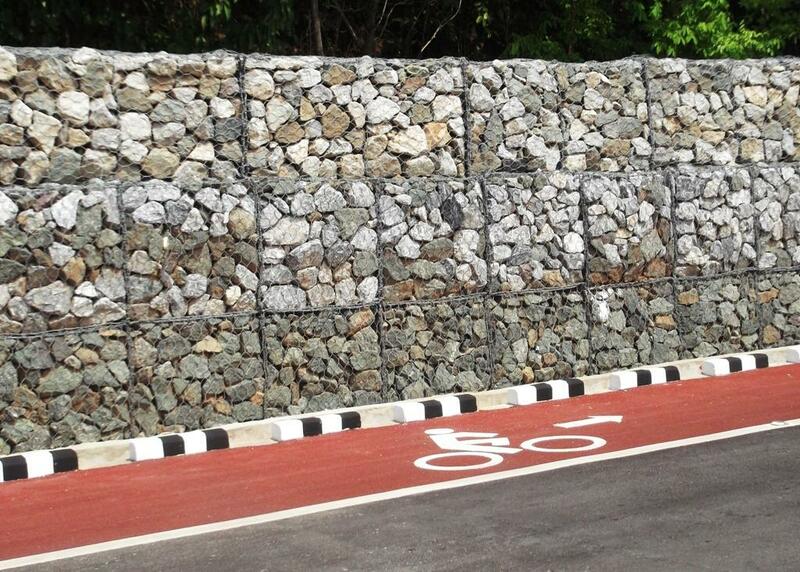 After reading this post I asked "Gabion wall". He said yes 65m long. I get it now you are talking about geo fabric I found one supplier and worse case was thinking shade cloth would do the trick. After spending so much time and money on a beautiful wall you don’t want the embankment/fill behind the wall to slowly seep out (due to water). I don’t know if they are open any longer but you might want to contact the company below,….. PRODUCT GEOTEXTILES - Premier Lining Interplas Co., Ltd.
Good luck with the wall.